We made the report at the Bear Rescue Center in Vietnam in December 2017. A first for us: Animals Asia is a great association, and we were impressed! Fortunately, we found in the person of Hang more than a guide, a guardian angel: thanks to her for pampering us during the week of filming! 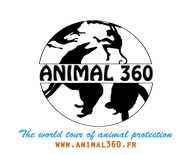 Jill Robinson, an animal protection professional, created Animals Asia in 1998. 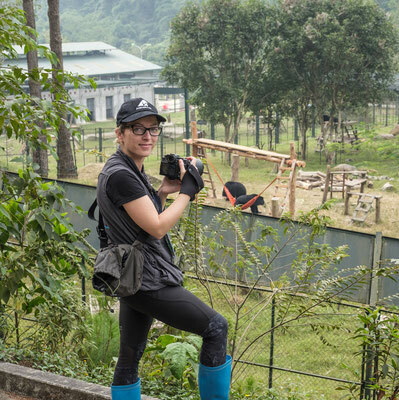 Very animal-savvy, she discovered with horror bear bile farms in Asia and decided to change the fate of many bears. Indeed, in some Asian countries, and although it is illegal in some countries including Vietnam, bears are locked in small cages for the purpose of extracting their bile, which would have medicinal properties. In reality, the extracted bile is often infected because extracted in very poor sanitary conditions on ill bears and can contaminate their consumers. The second reason not to consume it is that there are herbal and synthetic alternatives that are more effective. The third reason (and most important to us) is that many bears live a hell on bile farms: torn from their natural environment (they are poached in the forests), they spend a part of their lives, when it is not the totality, locked up alone in cages where they do not see the daylight and where they can sometimes not stand up, are hungry, tortured, under disastrous sanitary conditions. Their state of physical and mental health is consequently terribly degraded. Jill wanted to give to these poor souls a new life and created the Bear Sanctuary in Vietnam in 2007, in Tam Dao (North of Hanoi). 186 bears have been saved today. 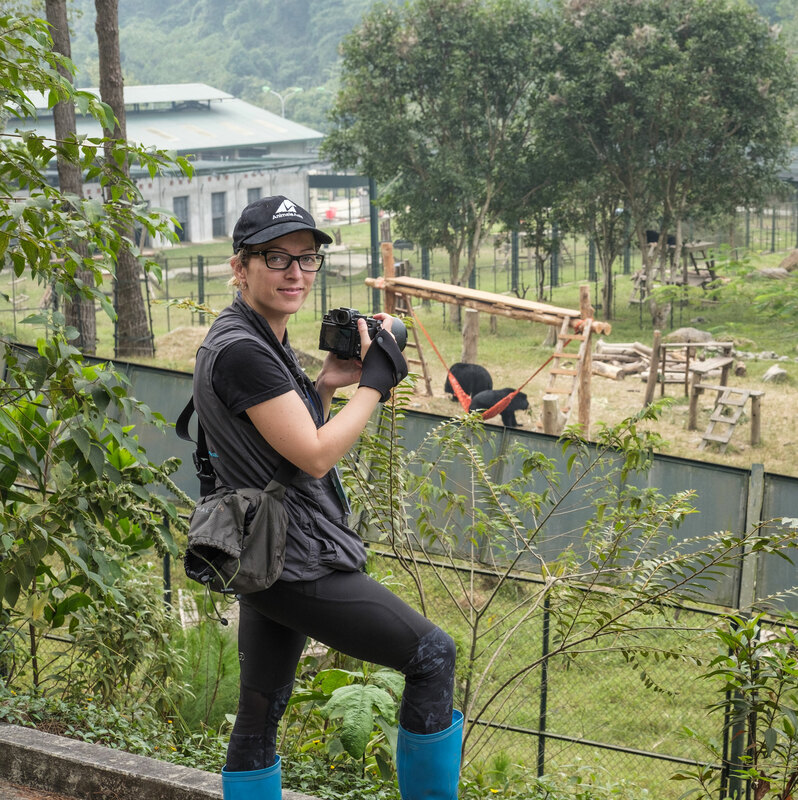 Today in Vietnam, there are still more than a thousand bears locked in bile farms: Jill continues to work hand in hand with government authorities to bring these animals out of their hell and put them in parks where they can live with dignity, express their natural behaviors, eat their hunger, play with their peers, and overall not suffer anymore. Unfortunately for them, they cannot be released into the wild, because their health is too degraded for them to survive alone: all bears in the shelter have pathologies related to years of imprisonment and abuse, such as joint problems, dental, hypertension, sight, kidney, amputated limb... In addition, the Vietnamese forests do not offer enough forest space sufficiently protected to ensure their safety: poachers are still very present. Fortunately, bears are incredibly resilient animals: after years of abuse, most of them become greedy, happy and playful. They adapt well to life at the shelter and everything is done to ensure their physical and mental well-being: varied diet, daily games with stimulation of the senses, introduction of new congeners by step, gentle care ... Everything is studied and reflected, in a benevolent way. Each bear is of course individualized and has a name he knows. The shelter, which houses 117 bears, employs about 80 employees: each one is part of one or more specialized team(s): the healers, the behaviorists, the cooks, the creators of toys, the supervisors, the translators, the guards, the communication team ... Everyone knows their role, can be trained within the association, and can climb the ladder. We were impressed by the involvement of each employee we met during this report: everyone is really attentive to their task, and even more, everyone loves bears! We had the chance to see the biennial health-check of a moon bear named Humphrey. 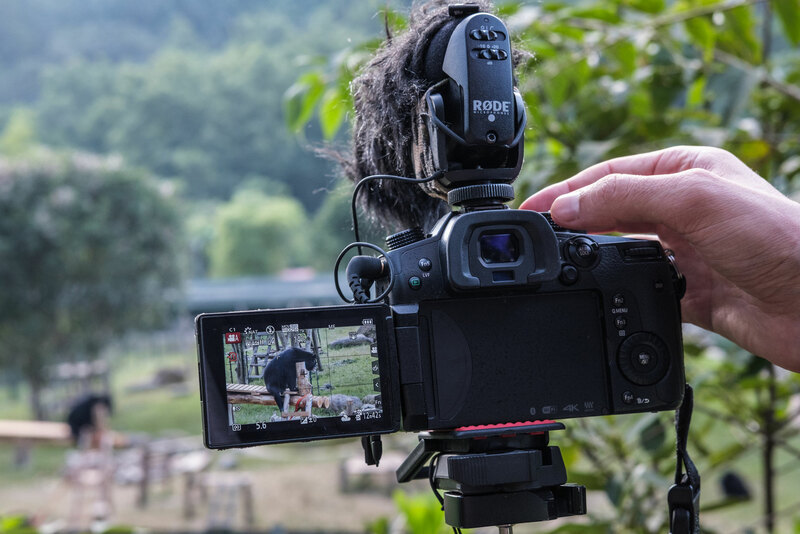 Aged about 17, he arrived at the shelter in 2015, and spent more than ten years locked in a cage in a bile farm. During the session, during which he was anesthetized, the veterinarians checked each part of the body. We could see the many scars on his abdomen, traces of the many bites related to the removal of his bile... The "manager" of Humphrey came a short time to check that his protégé was well, and we could read in his eyes that she was worry about him. Fortunately, Humphrey's condition did not deteriorate, he only had to have a broken canine extracted, weakened by so many years of abuse. 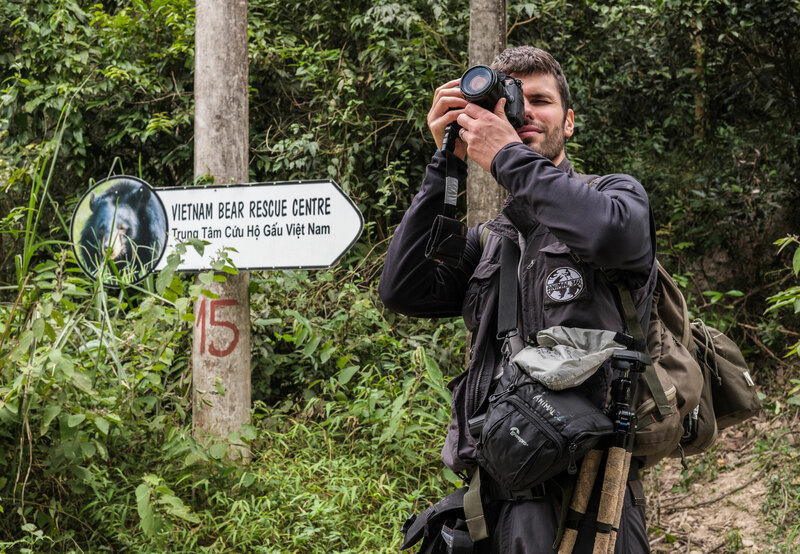 Ultimate evidence of deep respect for bears, the Tam Dao Refuge has a cemetery for the bears to ret in peace. 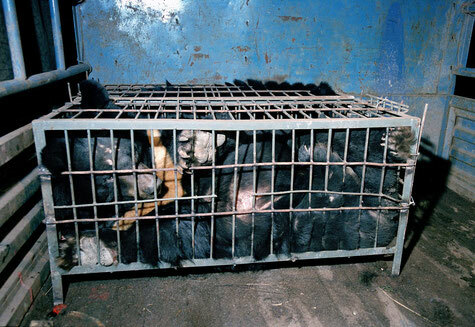 The association Animals Asia, which is also very active in China, does not just save bears: it also fights against the consumption of meat of dogs and cats (and the ensuing trafficking), and against the captivity of animals by conducting surveys, denouncing bad practices, and conducting public information campaigns. 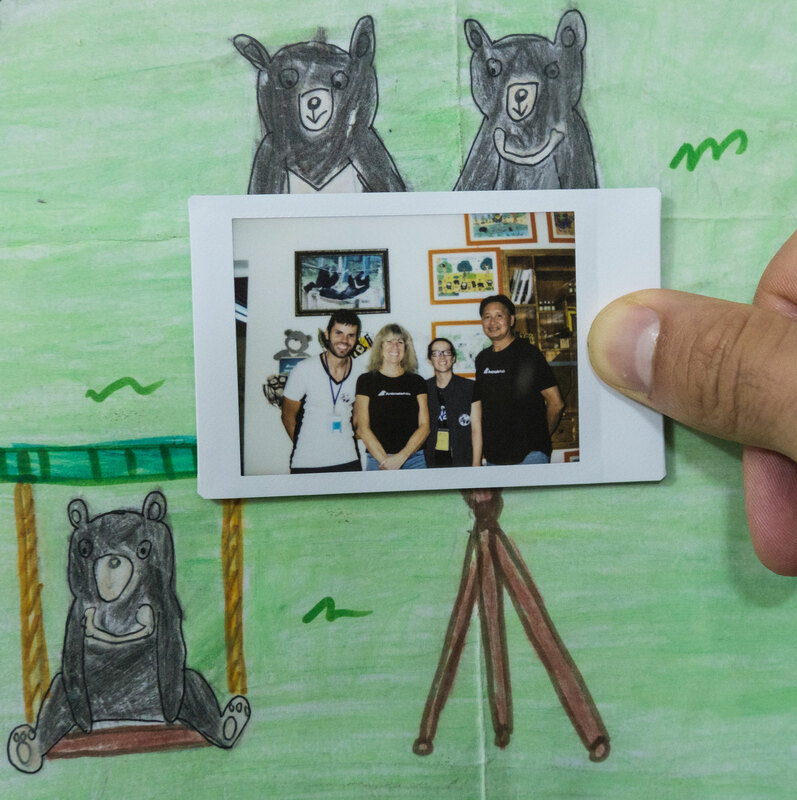 At the Vietnam bear rescue center, an entire room is devoted to the education of schoolchildren, with adapted teaching materials. After a day of information, several children have already convinced their family to release bears and entrust them to the shelter. Every year, Animals Asia can boast of advancing the animal condition: in the case of the bears of bile farms in Vietnam, the association signed in 2017 a memorandum of understanding with the Vietnamese government, devoting the complete end of the raising of bear bile in the country by 2022, and a free life for the 1,000 bears currently held on farms in this country. To find out more about the association and to support them, you can click here.